Kanaley, Keneall, Keneally, Kenealley, and variations on KANALEY which was the final/continued spelling used in Australia. Education was very much phonetic based and often under pressure to attend to lines of travellers on/off ships etc. Anglican. Arrived on LADY ANN to Port Adelaide SA with 6 children. William-12, Mary/Maria-10, Stephen-7, Bridget-5, Jane-3, Honor-1. John's mother in law-Amelia Taylor@63yoa, her brother James Taylor@37yoa, and a niece Eliza Perry@19yoa all travelled with the Kanaley family from Tipperary Ireland (210 Irish passengers of the total 294). They were all nominated by Samuel Oakley who had arrived in 1836 on BUFFALO and sponsored the family members. John purchased property Section 521 of 80 acres for 210 pounds from locals Thomas and Lydia Salisbury. Left to his wife on his passing (d.1890) and then his youngest son John (Jack) except if he did not marry (d.24 May 1915). In which case the estate was to be sold and divided between his five daughters, with trustees William and Josiah Oakley. John senior purchased a second property Section 500 being a further 80 acres for 636 pounds. This being sold after his death on 11 Jul 1890. The earlier purchase block 521 was sold after the accidental death of John junior in 1915. John apparently had race horse.s He is mentioned in History of Mclaren Vale as being th eowner of a race horse which won the main race, the prize a Gold Cup. His horse was an outsider and beat the favourite. 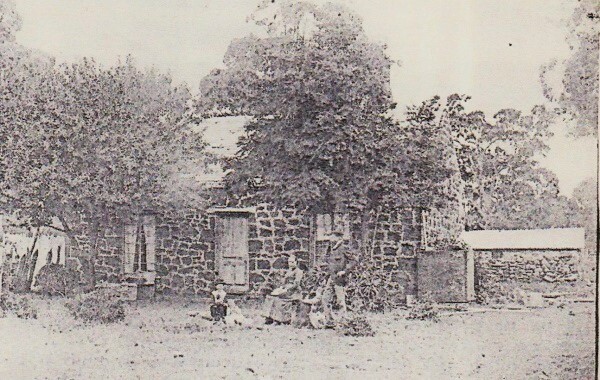 See the 1983 published 'Oakley Family History' and Pioneers of Aust published in 1838 where again they Kanaley family are connected to the imposing homestead of the Bell Family at FAIRVIEW on Yorke Penisula. Kangarilla SA was once called Eyre's Flat. Both places of residence of the Kanaley family, plus McLaren Flat. The nearest birth place was Morphett Vale. [S-130] Encycopaedia South Australians 1836-1885 , 785, 7 Oct 2017 Researcher Lorna McLean. [S-55] PUBLICATION "Descendants of John and Sarah Kanaley" home publication, Hazel and Bruce Kanaley ~1990's, 7-8, 15 Oct 17 Researcher Lorna Mclean.